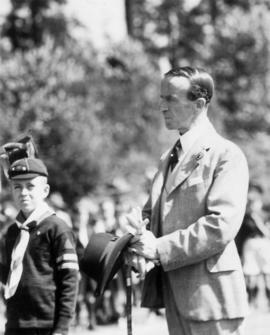 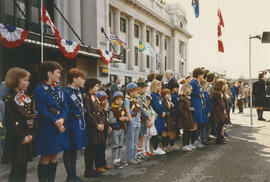 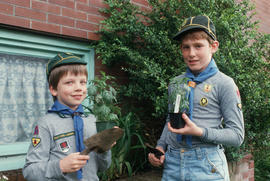 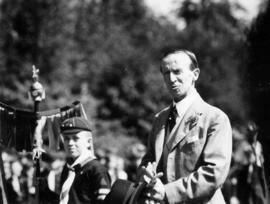 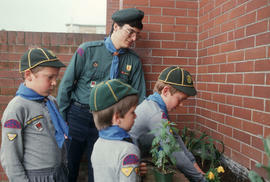 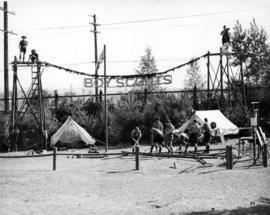 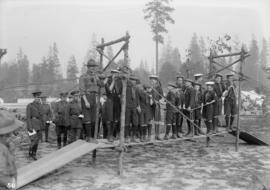 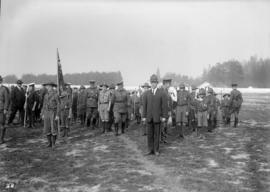 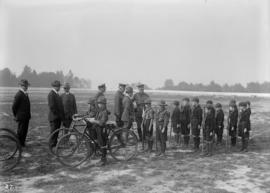 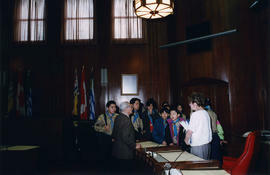 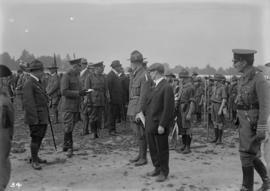 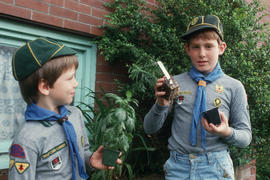 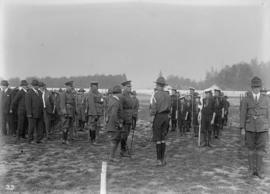 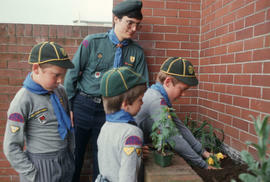 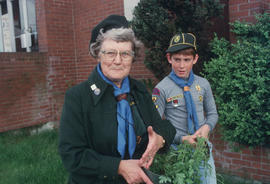 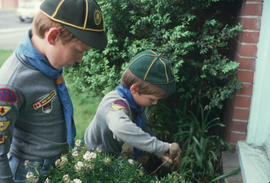 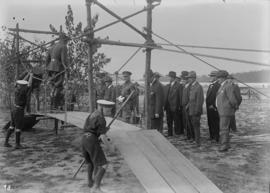 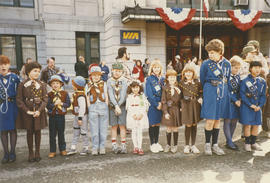 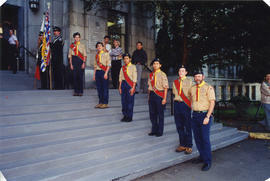 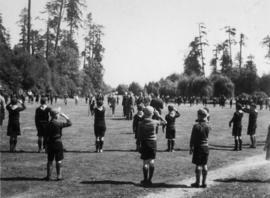 Item is a photographs showing E.H. "Gramps" Milne at the "Good Citizen, Vancouver" award ceremony with Boy Scouts. 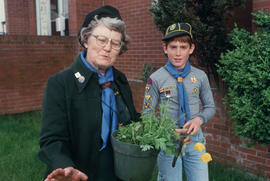 Pictured (L-R): Mike Steen, W.J. 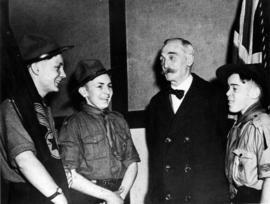 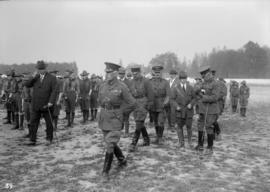 (Bill) Barnes, E.H. Milne, and Blake Stretton. 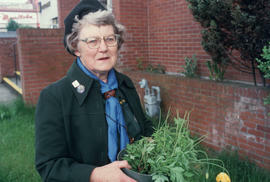 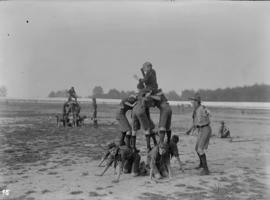 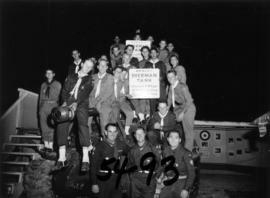 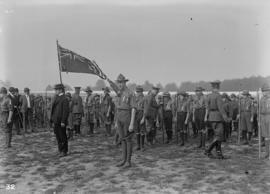 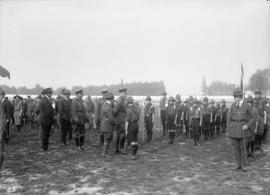 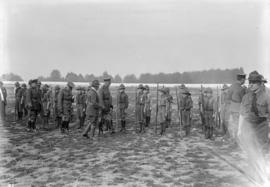 Item is a photograph containing a flag which includes the words "Dawson Troop".